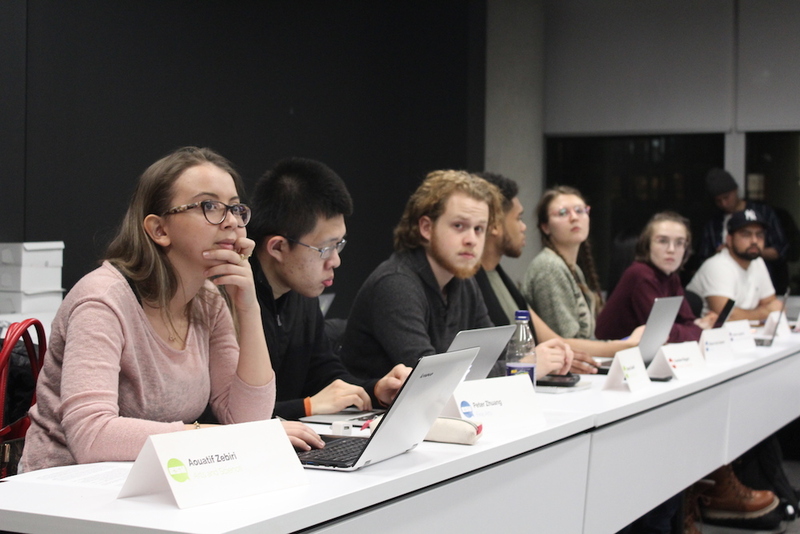 The construction of a student housing co-operative may fail due to unforeseen costs, announced the Concordia Student Union (CSU) in its annual mid-mandate report presented at a regular council meeting on Jan. 24. The CSU also reported that its long-awaited daycare centre and website are behind schedule. Construction of the student housing building on Papineau Avenue, across the street from Lafontaine Park, was supposed to begin this year. However, the Plateau-Mont-Royal borough has not approved the project because it wants the co-operative to have a brick facade, said CSU general coordinator Omar Riaz at the meeting. Adding the facade would increase the cost of the building by about $200,000, which could jeopardize the entire project. “Right now, we don’t have room for the $200,000,” he added. “The borough approved the project in 2017. But the architecture has to be revised before the permit is delivered,” he told The Concordian. In the April 2015 CSU referendum, students voted in favour of allocating $1.85 million from the Student Space Accessible Education Legal Contingency Fund to finance the creation of the housing project. That money finances approximately 13 per cent of the total cost of the $14-million initiative. Funding for the co-operative also comes from government bodies, like the city of Montreal and the Chantier de l’économie sociale. The CSU’s daycare project, which was set to open its doors on Concordia’s downtown campus in March, has been delayed because of new legislation issued by the Quebec government that requires all daycare projects approved after June 2017 to be re-submitted for approval. The student union has not set a new date for when the daycare will open. Riaz was also questioned by council members about the launch of the CSU’s new website, which was initially supposed to launch in August 2017. In its mid-mandate report, the CSU announced the website would likely launch by mid-February. Councillors questioned Riaz and asked him to present a full report on the project, including costs and the reasons for the lengthy delay. The CSU voted in favour of funding the John Molson Accounting Society’s (JMAS) annual tax clinic. The clinic, which offers free tax preparation services to Concordia students and eligible Montrealers (people who make $25,000 or less annually), is in its third year. According to the clinic’s organizers, it costs between $30 and $50 to file taxes with a professional firm, so they hope more Concordia students take advantage of the free service. Last year, the clinic was offered the weekend of March 25, just over a month before tax returns were due. JMAS has yet to announce a date for the 2018 clinic.